The philosophy of today’s society can be summed up in the phrase: “Do your own thing.” The basic idea of this philosophy is: just be yourself; throw off the restrictions of the past and be free; submit to no one; you are your own boss, and no one has the right to tell you what to do—including parents, teachers, police, nor anyone in authority—not even God. That philosophy comes from a satanic spirit of rebellion. It has led to the lack of discipline in our school system, to protests and riots whenever a policemen forcefully stops a person who is breaking the law, to judges and government officials ignoring the law and our constitution, to drug and alcohol addictions, to increased crime, to infidelity in marriage, and to the family breakdown, which trains the next generation to “do their own thing”. We concluded last week that our personal and societal problems would be solved if we would just submit to God and His Word, and to other authorities established by God. While this is true, it is easier said than done, because submission to God requires a spirit of humility, the character of Jesus. That is why submission is a sacred act. 1 Peter 5:5-7 Likewise, you who are younger, be subject to the elders. Clothe yourselves, all of you, with humility toward one another, for “God opposes the proud but gives grace to the humble.” Therefore humble yourselves under the mighty hand of God, that He may exalt you in due time, casting all your care upon Him, for He cares for you. The verbs in this Scripture are in the present tense, meaning God continually opposes those who are proud, and God continually gives grace to the humble. God makes submission sacred because He exalts those who are humble and submit. Therefore, submission to God is the key to a Christian’s success in life. Yet many Christians have never wholly submitted themselves to the Lord. As a result, their lives are spiritually unproductive, self-centered, and chaotic. They selfishly want God’s blessings, but only as long as it does not require them to give up control of their lives. However, God does not operate His Kingdom on the “do your own thing” philosophy. If we want success in our walk with God, we must submit to His Lordship and rule. 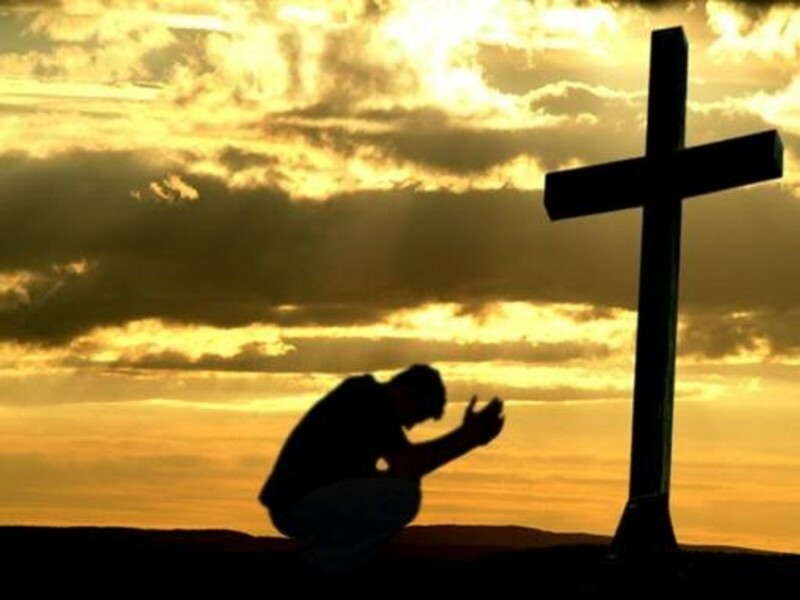 Submission to God is a sacred thing, because as we submit to God every moment of every day, our aspiration becomes like Jesus, who prayed in the Garden of Gethsemane, “Not my will, but thine, be done” (Luke 22:42). Not only did Jesus make submission a sacred thing in the Garden of Gethsemane, He was submissive all His life. Luke 2:41-52 Now his parents went to Jerusalem every year at the Feast of the Passover. And when he was twelve years old, they went up according to custom. And when the feast was ended, as they were returning, the boy Jesus stayed behind in Jerusalem. His parents did not know it, but supposing him to be in the group they went a day’s journey, but then they began to search for him among their relatives and acquaintances, and when they did not find him, they returned to Jerusalem, searching for him. After three days they found him in the temple, sitting among the teachers, listening to them and asking them questions. And all who heard him were amazed at his understanding and his answers. And when his parents saw him, they were astonished. And his mother said to him, “Son, why have you treated us so? Behold, your father and I have been searching for you in great distress.” And he said to them, “Why were you looking for me? Did you not know that I must be in my Father’s house?” And they did not understand the saying that he spoke to them. And he went down with them and came to Nazareth and was submissive to them. And his mother treasured up all these things in her heart. And Jesus increased in wisdom and in stature and in favor with God and man. Even at the age of 12, Jesus knew who He was and His purpose, which was to bring redemption to Israel and all mankind. He knew who His real Father was. Yet with this knowledge, He had no conceit, no vanity, and no pride. After being scolded by His mother, Jesus, the Son of God, humbled Himself and submitted to the authority over Him; in this case, the authority of His parents, Joseph and Mary. As a result, Jesus increased in wisdom and in stature and in favor with God and man. If we are going to truly be followers of Christ; if we are going to claim the name Christian, then we must be people of humble submission. We need to view submission as sacred—something we hold in high esteem and desire for ourselves, so we can be like Jesus. It bothers me when I hear Christians say of our current president. “I didn’t vote for him; he’s not my president.” It also bothered me to hear Christians say the same things about our former president. Now you may claim that you have a right to say it, but such a statement reveals an attitude of disrespect and rebellion. And rebellion is not the character of Christ. Jesus never expressed disrespect for the Roman emperor, who considered himself god. And He never advocated rebellion. Instead, He focused on the Father’s will. And so should we. If we are submitted to God, we will respect leaders and accept life’s struggles as part of God’s plan. If we are submitted to God, we trust Him, even in the face of persecution, because God will exalt us in His time. Being “exalted” refers to a reversal of past misfortunes and troubles, triumph over oppressors, and participation in Christ’s glory. The exalting may be in this life or in the next. In any case, it will be in God’s perfect time and for His glory. The will of God is not arbitrary; it is not negative and reactive. His will is completely trustworthy. He knows what is going on in our lives. He is aware of Satan’s influence. He is in control. Sometimes we think that consequences caused by our own sin and foolishness are not God’s concern. But when we submit to God in repentance, He makes those consequences work together for good. Therefore, we can cast all our anxieties on him, because he cares for us. For many of us, submission has been an ugly word that strips away all of our dignity and self-respect. But when we submit as Christ has called us to submit, we learn from the experience that submission is sacred, making us holy as Christ is holy because we live as Christ lived. The paradox of submitting is that we are set free by our submission and given divine authority in Jesus’ Name! We become His disciples, His ambassadors in this world, proclaiming Christ by how we live and what we say. Therefore, submitting to God’s commandments is more than giving mental assent. It goes deeper than merely learning about God’s commandments and agreeing that they are good! We must DO what He has commanded. We are to become a living sacrifice, perfect and holy and acceptable to God. Romans 12:1-2 Therefore, I urge you, brothers, in view of God’s mercy, to offer your bodies as a living sacrifices, holy and pleasing to God—this is your spiritual act of worship. Do not conform any longer to the pattern of this world, but be transformed by the renewing of your mind. Then you will be able to test and approve what God’s will is—His good, pleasing and perfect will. When we are totally submissive to God, we will find that we are able to face whatever the world throws our way. And when we are abused, we do not return that abuse; when we suffer, we do not take vengeance on those causing our suffering and threaten them. Instead, in the Name of Jesus, we wage war on the real enemy—Satan and his demons. Ephesians 6:12 For we wrestle not against flesh and blood, but against principalities, against powers, against the rulers of darkness of this world, against spiritual wickedness in high places. When we are focused on being submissive, we trust God’s judgment. Those who have rebelled like Satan and rejected Jesus are going to be punished along with Satan! But those who have accepted Jesus as Savior and Lord, and submitted to Him, God is going to judge them as having the righteousness of Christ! Knowing this, we keep our eyes on Jesus. We speak the truth in love and we walk in the truth while judging no one. We warn people of the coming judgment for sin, we tell them about the Gospel of Christ, but we leave judgment to God. Here is the crux of being a Christian. Whether or not we have entered into the Christian faith, and become a disciple of Jesus, is determined not by what we say, but by whether or not we are doing God’s will. Salvation is by grace through faith, but what we truly believe is what we do. You can know that you have faith if you are no longer living by your own will, but are continually repenting of sin and self-rule, and are submitting to the Holy Spirit and God’s Word. Then you will have the peace of God and freedom that salvation and submission bring. Furthermore, submission brings us into a closer relationship with Jesus, for He said in Matthew 12:50 “For whoever does the will of my Father in heaven is my brother and sister and mother.” Those, who are born again of the Holy Spirit, are children of God, related to Jesus. They love and obey their Father. They are submitted to Him. They resemble Jesus and others in the family of God. Jesus said in John 6:38 For I have come down from heaven, not to do my own will but the will of him who sent me. If we are submitted to Jesus, this will be our purpose as well. At times, we may find obedience to Christ difficult in this evil world, but it is not nearly as difficult as not doing His will. After all, we only have two choices. We have to submit to either Satan or God, and there are consequences resulting from our choice. To “do your own thing” is submitting to Satan and brings disaster into our lives now and forever. But the end result of submitting to God’s will is peace, joy, and eternal life. 1 John 2:15-17 Do not love the world or the things in the world. If anyone loves the world, the love of the Father is not in him. For all that is in the world--the lust of the flesh, the lust of the eyes, and the pride of life--is not of the Father but is of the world. And the world is passing away, and the lust of it; but he who does the will of God abides forever. Again, submission to God’s will takes humility—something we don’t naturally possess. First, we must confess to God that we are rebellious and admit that we cannot submit or be humble on our own. 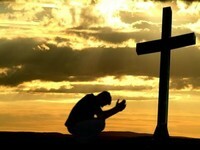 If we are sincere, God will forgive us and give us grace to be humble and submissive. We need God’s grace, because submission requires that we die daily to ourselves and yield to the Holy Spirit for direction and power. We are no longer independent; we are now dependent on God. Just as we are dependent on air to breathe, so we are dependent on God to live. This describes what our life is to be: Galatians 2:20 I have been crucified with Christ. It is no longer I who live, but Christ who lives in me. And the life I now live in the flesh I live by faith in the Son of God, who loved me and gave himself for me. Jesus not only taught humility, but lived it. He is our example. Nowhere do we see the humility of Christ more than when He washed the feet of His disciples, the very ones who would betray Him, deny Him, and desert Him. John 13:12-15 When he had washed their feet and put on his outer garments and resumed his place, he said to them, “Do you understand what I have done to you? You call me Teacher and Lord, and you are right, for so I am. If I then, your Lord and Teacher, have washed your feet, you also ought to wash one another’s feet. For I have given you an example, that you also should do just as I have done to you. Jesus’ submissive journey to the Cross was the most humble, self-giving, loving, and sacred act ever performed. He, the only begotten Son of God, submitted Himself to the will of the Father and became the full final sacrifice for the sins of mankind. He suffered the wrath of God against sin upon His own holy body, plus the ultimate suffering of separation from God the Father. Philippians 2:5-11 Have this mind among yourselves, which is yours in Christ Jesus, who, though he was in the form of God, did not count equality with God a thing to be grasped, but emptied himself, by taking the form of a servant, being born in the likeness of men. And being found in human form, he humbled himself by becoming obedient to the point of death, even death on a cross. Therefore God has highly exalted him and bestowed on him the name that is above every name, so that at the name of Jesus every knee should bow, in heaven and on earth and under the earth, and every tongue confess that Jesus Christ is Lord, to the glory of God the Father. As Christians, we must realize that submission is NOT an option but a command of Christ! It is a sacred thing. Submitting to God also includes submitting to government authorities, parents, elders, husbands, and to each other, for these are God’s sacred commands. Are you submitting to God in every area of your life today? If not, surrender to God today! The Holy Spirit is speaking to you. Submit to Him. He may be telling you to believe in Jesus Christ as your Savior and Lord; to make your faith a public confession; to repent of your sin of rebellion, and to submit to baptism so you can be born again of the Holy Spirit and have a peaceful, joyful, and sacred life of submitting to God.